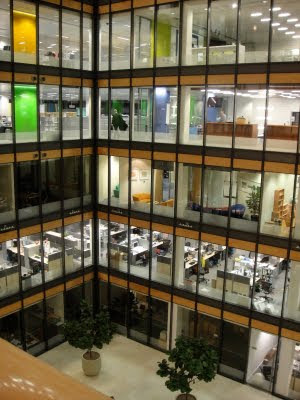 Transparency, light, colour, a range of agile working spaces with varying furniture solutions, grazing spaces, trees... All these found in one really attractive London office block I visited recently with a BCSE meeting.... it really is what we are talking about for schools. It works at all levels for students, adults, visitors... this space could easily work as a school! If only more people could see it!